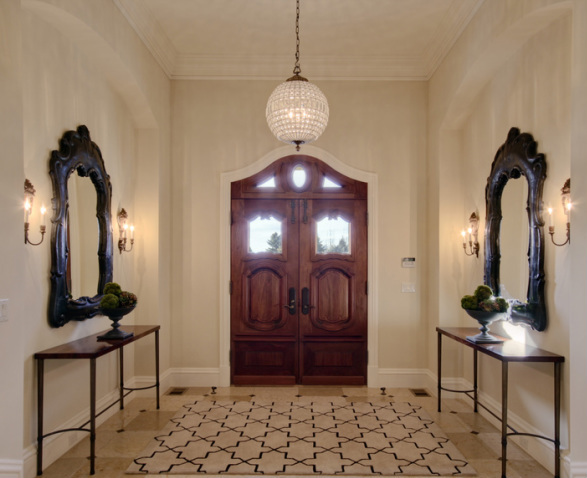 The foyer is always a grand area, but it's also a space in it's own element. It's a space where I like to mix the expected with the unexpected. A photo of the Berlin Wall blown up and antiqued on canvas, mixes with vintage oil can lids on the the back wall. Mixing these elements with a high gloss table, zebra rug, and crystal chandelier works, it's unexpected, yet grand and beautiful. 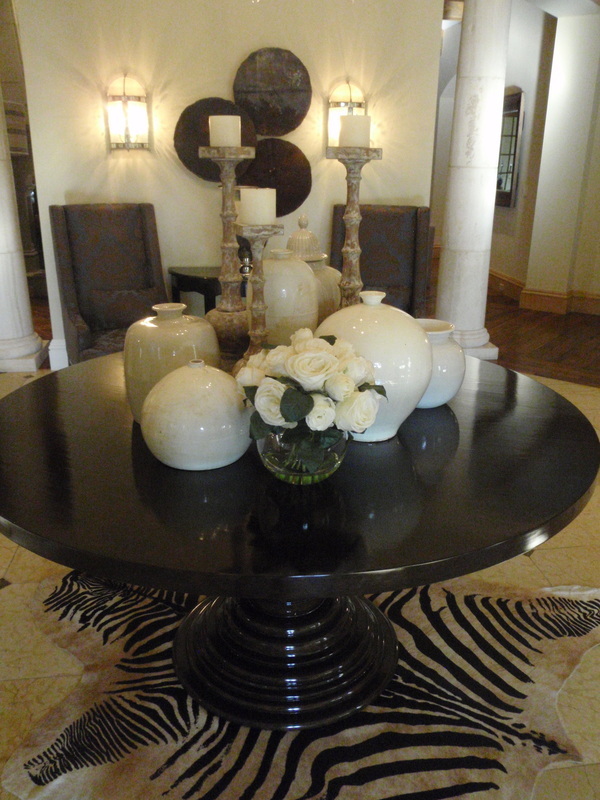 A collection of cream vases, candles and a small bowl of white roses adds drama to the table. A huge arrangement of flowers on the table is predictable, I want the unpredictable. I want people to walk into your home again and again and always notice a detail that they didn't notice before. I want your pieces to start conversations. 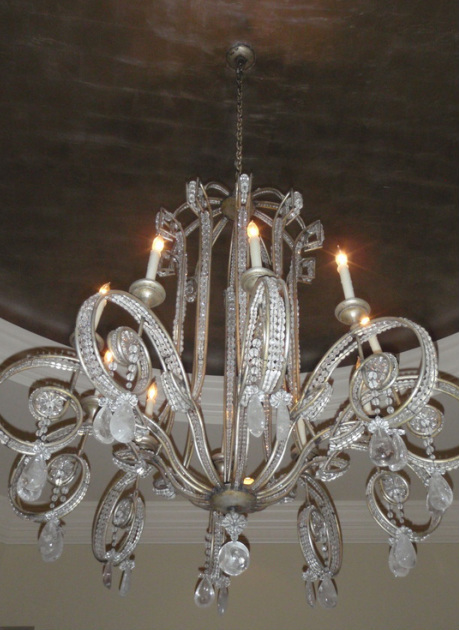 In the foyer, an Ebanista semi precious rock crystal chandelier hangs from a hand painted silver leaf dome.